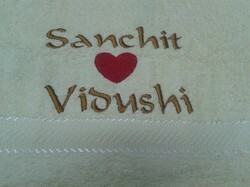 Prem Chand Brothers are a reputed Exporter, Supplier, Wholesaler, Trader and Manufacturer of superior quality of Personalized Towels. 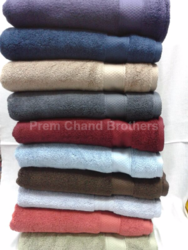 Prem Chand Brothers are a reputed Exporter, Supplier, Wholesaler, Trader and Manufacturer of superior quality of Personalized Towels orCustomised Towels. Made for Exports to USA, UK, and EUROPE. MADE IN INDIA, from experys in the field of towels.